I've been making variations of this frugal dinner for my family for more than 20 years, it's just that GOOD! 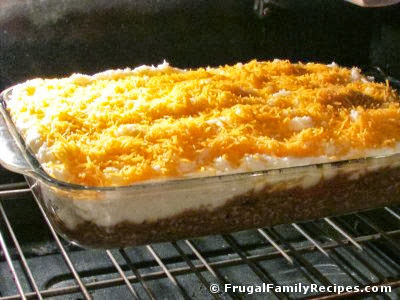 Though traditionally made with lamb, we prefer ground beef, and, HOMEMADE mashed potatoes. This yummy dinner is easy on the budget and easy to make, it just requires a bit of time. If you wash dishes and clean up as you go, that will help! 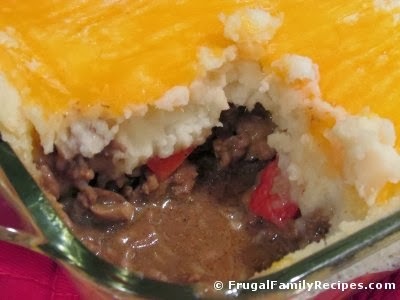 In large skillet, brown ground beef and drain. While browning ground beef, in 2 separate pans with a drizzle of olive oil, saute sliced mushrooms in one, and the onions and bell peppers together in the other. 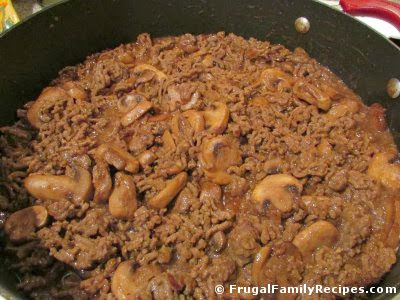 When ready, stir the mushrooms into cooked and drained ground beef (NOT yet on the peppers, let them continue to simmer on low heat). Next, to the ground beef mixture, add brown gravy mix with 2 cups water (or as directed on pkg.). Heat until gravy is thickened, then simmer while preparing mashed potatoes. 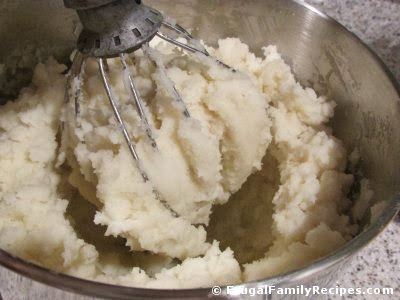 When potatoes become fork tender, drain and place into mixing bowl while still hot. Mix on med-high speed until fluffy. Add 2 T. butter and salt/pepper as desired. 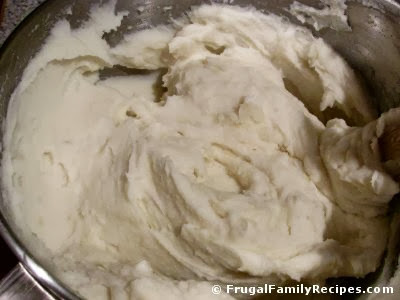 Add a splash of milk and continue mixing until potatoes are smooth. 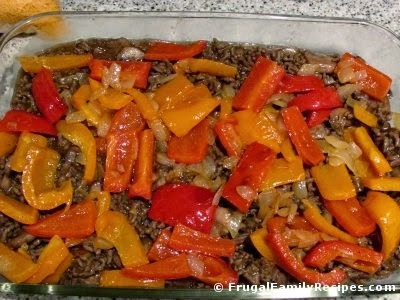 In a 10x13-inch baking dish, layer beef mixture, then the sauteed onions and bell peppers. 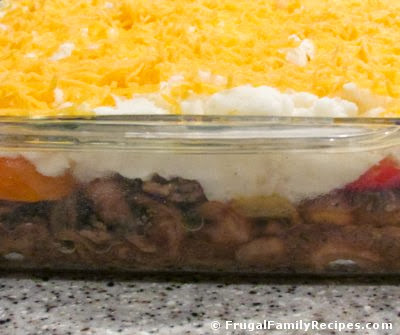 Spread mashed potatoes over veggies evenly, gently drag fork over potatoes if desired, then top with shredded cheese. Bake for 350 degrees for about 30 minutes, or until cheese is melted.